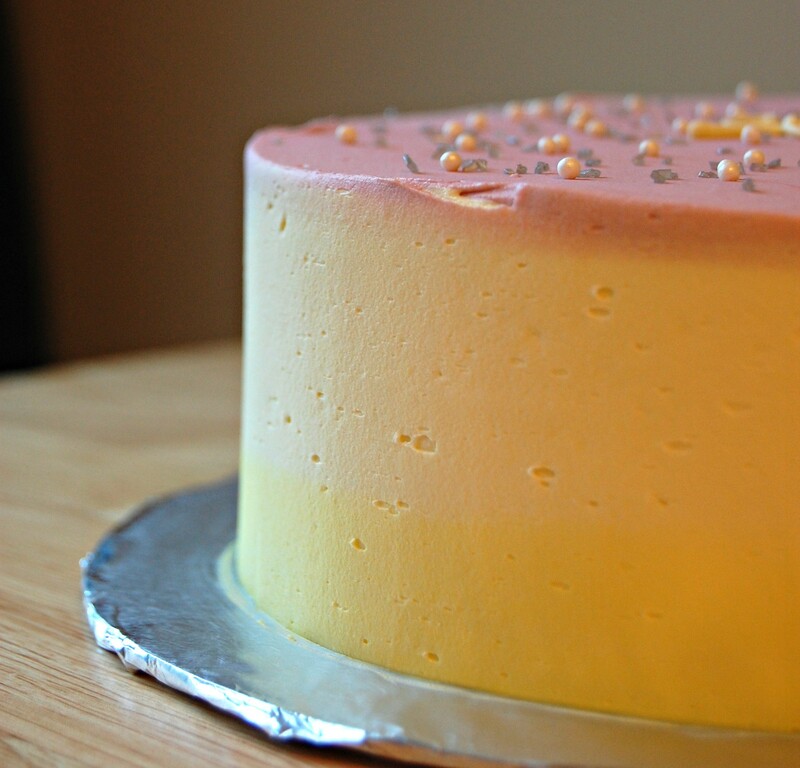 It’s been 10 months since I took a cake order. I had to go back and look through my blog posts to find that out and I can’t believe it’s been so long! 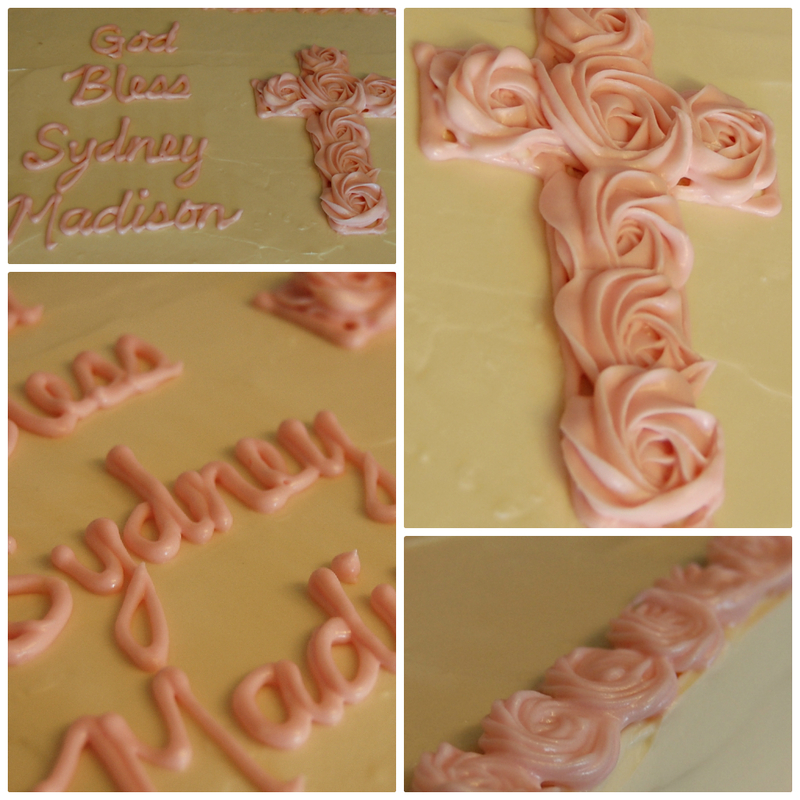 April contacted me about a month ago about making a cake for her daughter’s baptism. Nearly 3 years ago, I made the cake for her older daughter, Reagan’s, baptism, and I love when I get to make cakes for multiple events in the same family, so I happily took on the order. 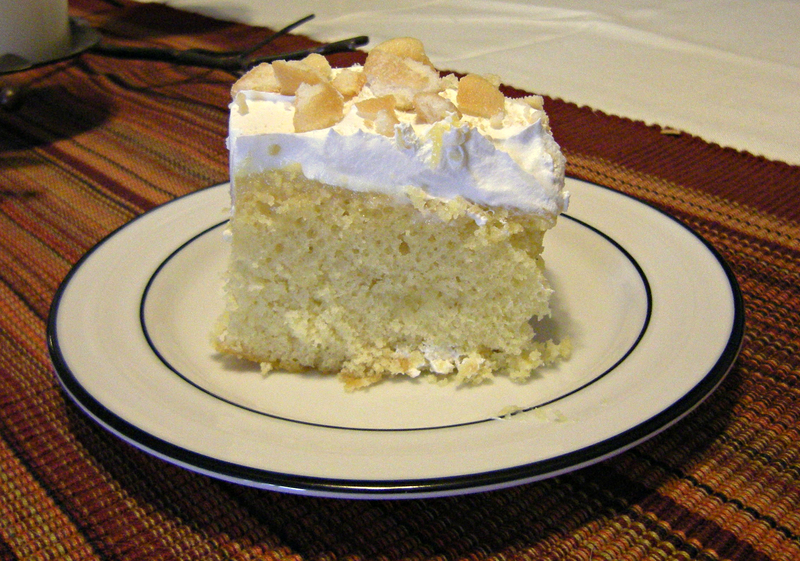 The cake was virtually the same as Reagan’s cake – carrot cake with cream cheese frosting. I love this combination. Carrot cake doesn’t seem to be that popular, but it really is SO good. I was planning for a half sheet cake. I used to make these 2 layers – 2 pans with a single recipe of the cake in each pan – but I’ve found that’s a little bit of overkill. This time I just doubled the recipe and made it all in one pan. 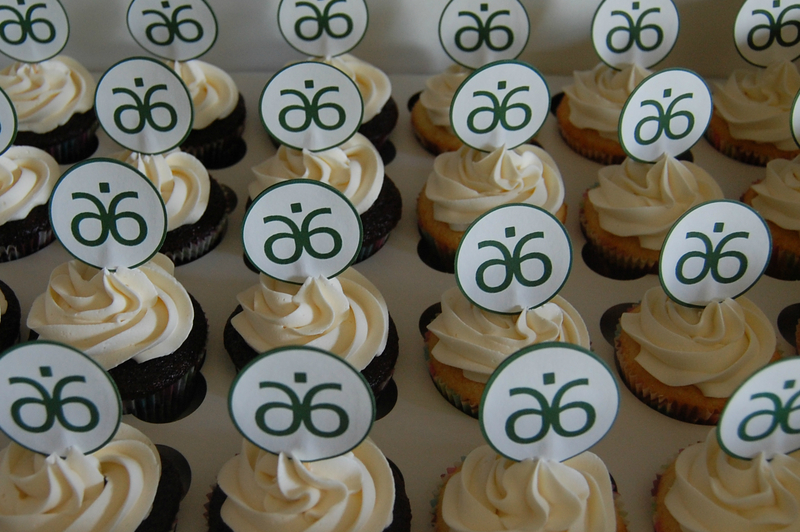 It’s technically the same amount of cake (more really, since there’s less trimming needed for a single layer). This size cake supposedly feeds up to 40 people, and since many of April’s 40 guests were children, this seemed to be the right size. For the decorations, I tried my hand at rosettes. They were remarkably easy with the large closed star tip (Wilton’s 2D) and they came out looking very nice for the cross. The smaller ones for the border were a little trickier. I used a smaller closed star tip for these and I found that the consistency of the frosting was very important (too cold/firm and the icing didn’t flow or got stuck in the tip, and too warm and the shape wasn’t recognizable). I also risked writing on the cake in script – not my strong suit. But I felt that script fit the occasion and I think it turned out decent. Writing on cakes is surprisingly difficult! Look Whooo’s Having a Baby! The 6th baby shower cake I’ve made for one of the girls in this group of friends? Double check. The FOURTEENTH child about to be born into this group of friends? Triple check, and holy crap that’s a lot of children that just a few years ago didn’t even exist! Wawa is expecting her baby girl at the end of next month, so naturally we all got together to celebrate with cake, food, presents, and a few of those didn’t-exist-a-few-years-ago children. 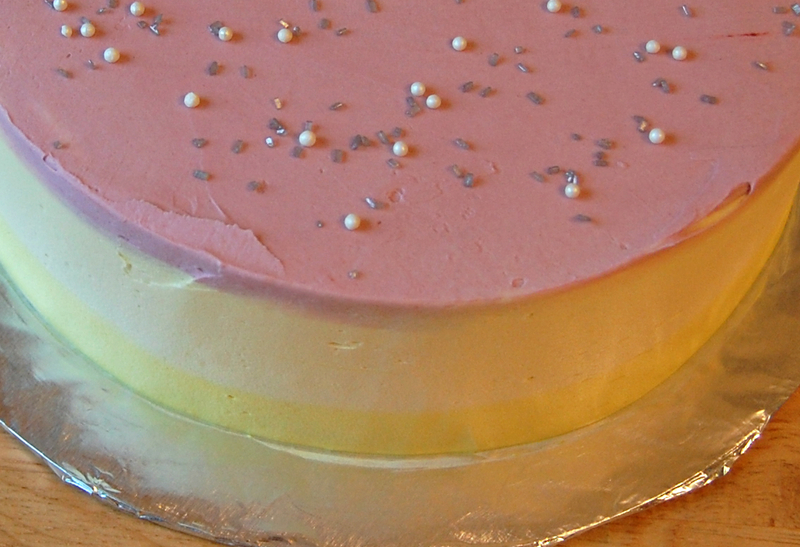 Of course I volunteered to bring the cake, but it had been 5 months since I last made a cake and I was a little rusty. 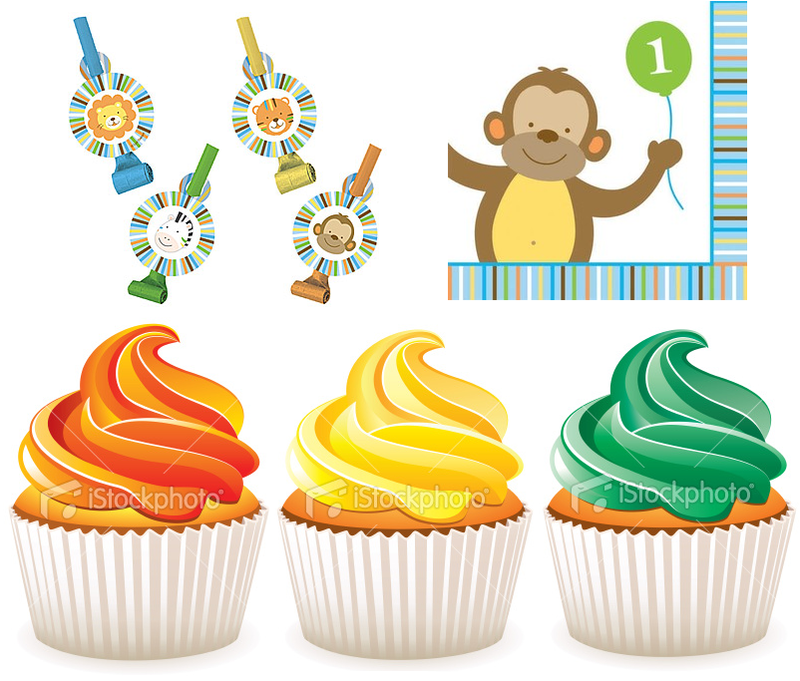 I picked out the decoration for the cake using this photo from a Google Image search as inspiration. I went back and forth over whether I was going to use fondant or buttercream for the decoration but I ended up deciding that fondant was a little too ambitious for how things are going in my house lately. 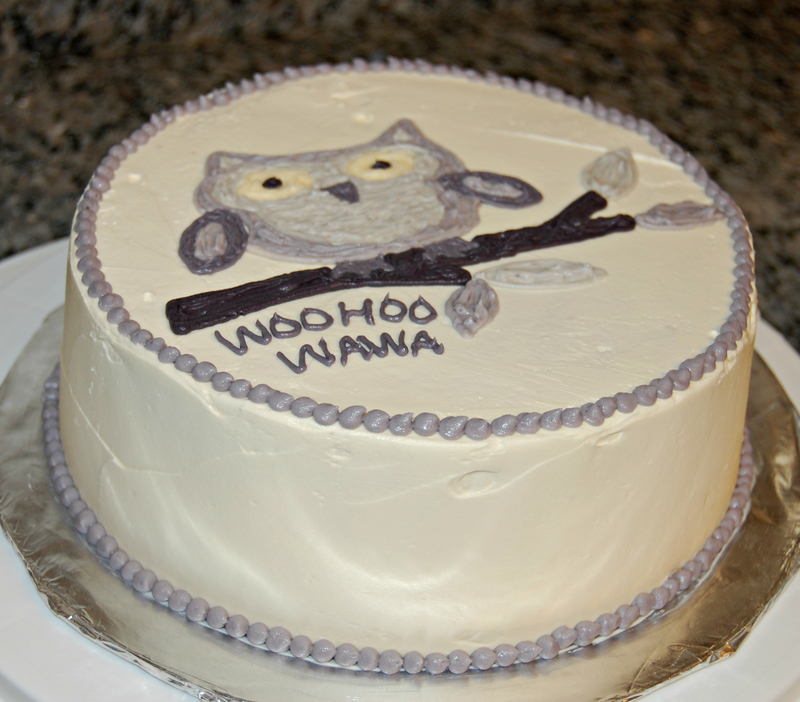 I used 4 different colors of buttercream and did the owl picture with several different round tips. Usually I would fill in the design with star tips, but some of the sections were so small and I knew the star tips wouldn’t fit. I basically just used small round tips and toothpicks to fill in the spaces. I’m back and forth over whether it looks “rustic” or just messy. I decided at the last minute to make a from-scratch version of Funfetti cake and I found the recipe on one of my favorite blogs, Annie’s Eats. 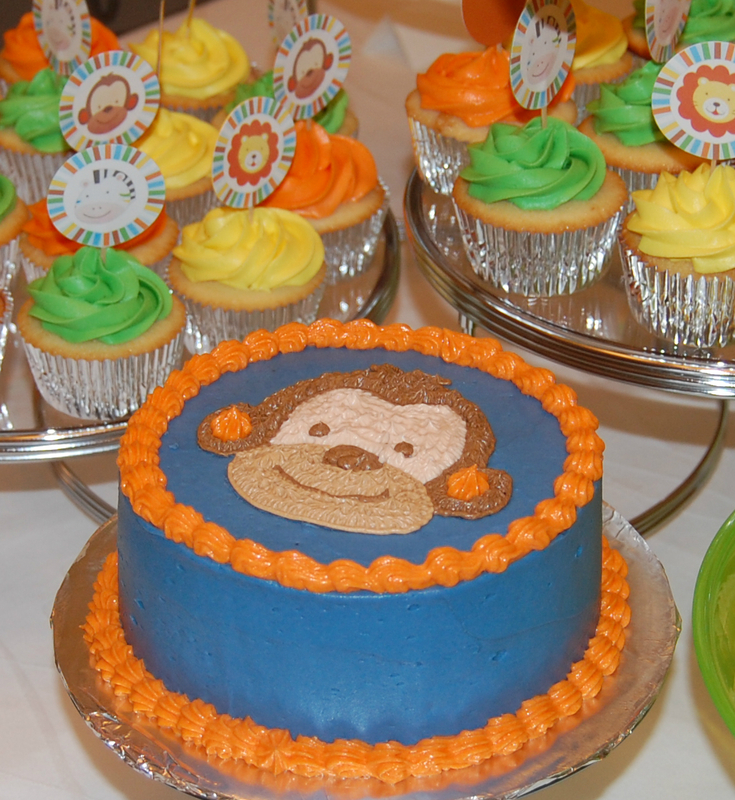 I used my normal vanilla buttercream for the icing, filling, and decorations. Since there aren’t anymore baby showers on the horizon among my friends at the moment, I took a look back at the 6 baby shower cakes for friends I’ve done so far. I’m so happy to have been able to celebrate with each of these girls! Or something like that…you know. When I met Bill years ago, he had just started working on his graduate degree. In the years since then, he bought a house, we moved in together, we got engaged, planned a wedding, got married, did some major home renovations, got pregnant, had a baby, and raised an almost-one-year-old. So yeah, it’s been an eventful few years. 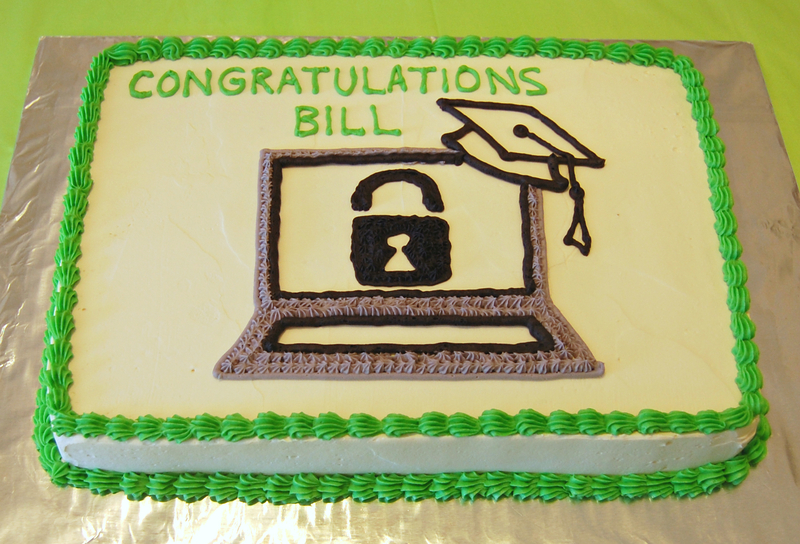 But Bill managed to also take classes, study, write endless papers, and now he has earned a Masters in Information Assurance from UMUC!!! It’s a wonderful accomplishment and I am extremely proud of him for working so hard. Family pic. 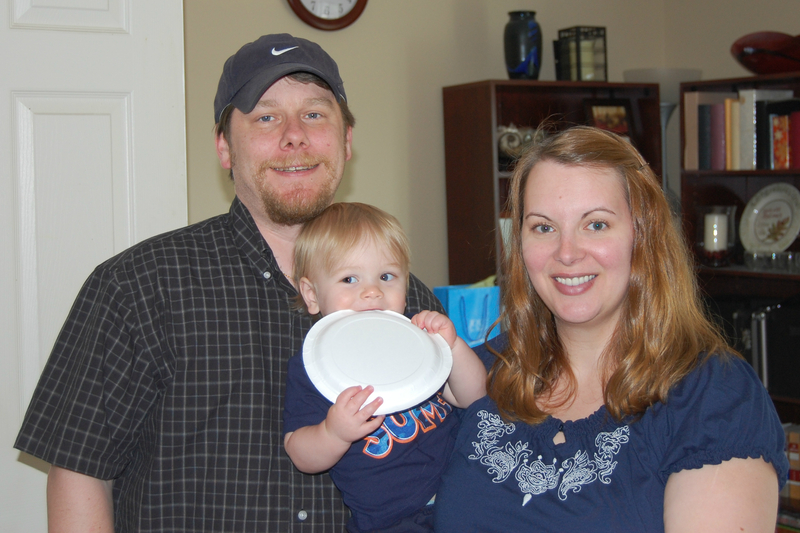 Yes, this baby is chewing on a plate.